I’m not a very exciting person. Sure, I work on cool things from time to time, but most of that time is spent at my desk. There isn’t anything particularly thrilling about me or my life, much less any real adventure to it. Even when change happens, it all stays more or less in the same vein. I feel things are like this for a lot of people. And it’s perfectly okay to not have anything super wild going on in your life, there’s nothing wrong about being content with a regular pace. But… I don’t know how I personally feel about that. Maybe I’ve been indulging myself in romanticized media representations of it a bit too much, but I’m starting to consider going on a long hiking (possibly also hitchiking?) trip. Now I’ve been planning to go on a vacation anyway, after I’ve graduated. I likely won’t have a steady job yet so I still got the time for that. Gotta enjoy it while you can, right? But why hiking? Why not a regular old “let’s see these beautiful sights and then move on” vacation? “Regular old” are keywords there. While more traditional vacations, where you use transport to get from one place to another, are really nice (Peru was great! ), something about “walk, camp, repeat” in an unfamiliar and nearly untouched environment really speaks to me. It’s way more a journey than anything else, and there’s a certain… uncertainty about being on your own in the wild like that. Completely disconnected, deserted, alone. But then I also don’t think it’s something that suits me well? The thought of the adventure appeals to me, but is also very intimidating? Not to mention long trips like those take an amount of preparation I may not have the time for, though that may just be the first hurdle to overcome. Who knows, maybe I’ll die by a pristine lakeside. I’d love to do the whole Appalachian trail, but I don’t think I would ever go alone. I see the AT hikers all the time now, as our village is right on the trail. At night you can usually see them setting up their tents in the playground. I hope you get to go on some kind of adventure, whatever is ends up being. Once a year we go to this hidden place in Colorado that has one of the most difficult hikes in the entire state. No one knows about it, but it takes roughly 8 hours (4 hours up, 4 down), and it’s pretty much straight up and straight down (as much as you can without requiring actual climbing gear). It’s 8 hours of hard work, surrounded by serene beauty in the vastness of the wilderness, since almost no one knows about it. And each year, reaching the summit and staring out over everything makes it totally worth it. It all just started as ‘we should do a difficult hike, just for kicks’, and then it became a yearly tradition after we did it. A yearly adventure, if you will. It’s hard as hell, and intimidating at first, but definitely worth seeking out. I can guarantee you won’t regret it. Who knows, maybe I’ll route myself through the beautiful state of Colorado! 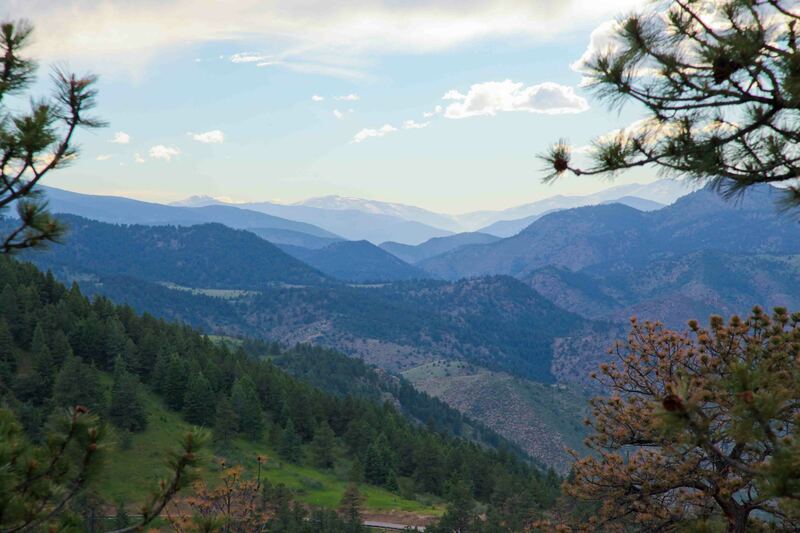 It’s an absolutely beautiful place, and no matter which city you’re in, you can drive 20-30 minutes in any direction in Colorado and find an amazing place to hike and/or camp. 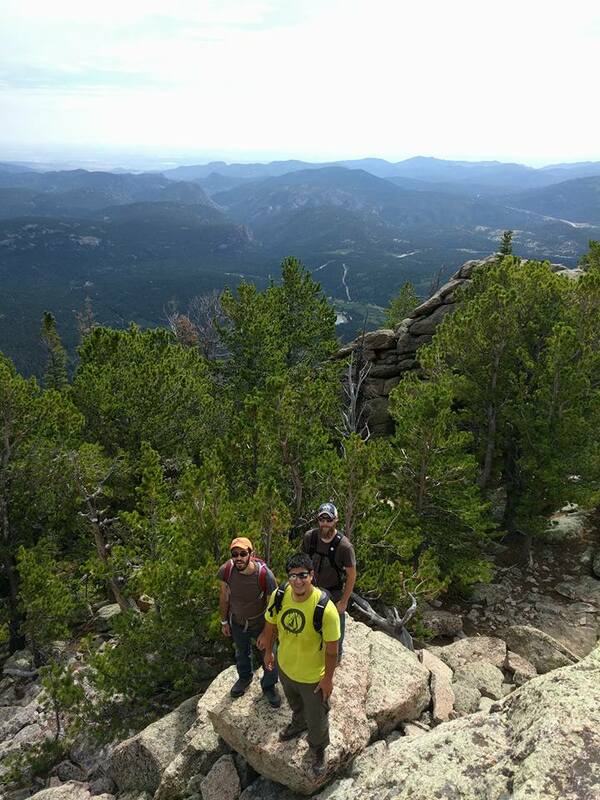 To answer your Q on our blog, yep, we go hiking all the time. Even in winter if it’s warm enough (above zero). This particular hike we only do once a year as a tradition (it’s pretty grueling), but we often go on smaller hikes all over the state. This is what it looks like at the bottom of the big hike. …And this is us at the top (Brandon on the left, me behind the camera). Damn, the bottom already has an amazing view. That’s incredible, what a sight! Most of my interests aren’t exactly facebook profile pic material. If I climbed cliffs, it would look way better – both now and in 10 years, looking back at my decade. But I don’t want to climb cliffs. I want to read and write and listen to music. That’s my focus. Still, it would do me good to shake things up once in a while. Be sure to post about your adventure when and if it happens!